Periodontal disease, also known as gum disease, comes in two forms: gingivitis and periodontitis. Gingivitis is the mild form of the two and can cause gums to become swollen or tender, even bleed. It can also be reversed, unlike periodontitis. Practicing good oral hygiene and making sure to have a healthy diet can do the trick to prevent both. Periodontitis is the advanced stage of gum disease if gingivitis is not taken care of. In this case, pockets begin to form from receding teeth and those pockets fill with bacteria and toxins from infections that spread and eats away the teeth, loosening them. Eventually the teeth need to be removed. Plaque is the cause of gum disease and proper oral hygiene is the solution. s recommended to do this once in morning after you wake up and once before you go to bed, when the plaque has had ample time to build up during the day. Also brush your tongue because plaque and bacteria can build up there too. There are special tools on the backside of most toothbrushes that facilitate the brushing of the tongue nowadays. 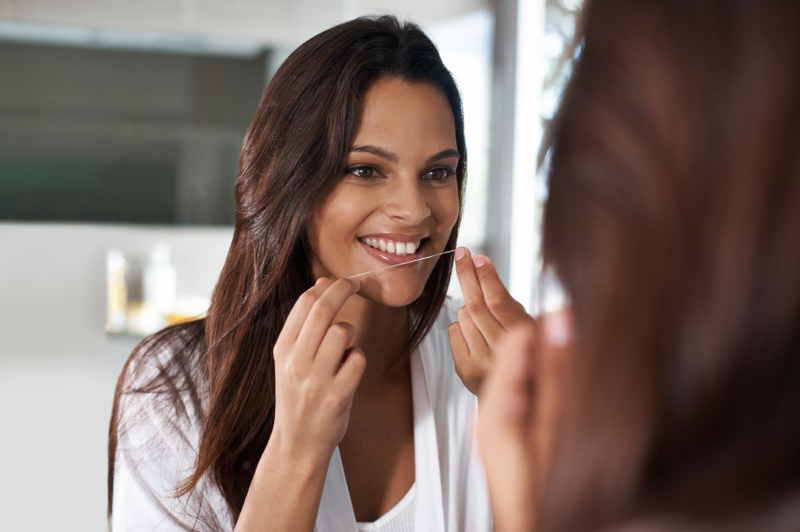 Flossing your teeth is very important as well because food and other material can become stuck in your teeth and gums. This environment is breeding ground central for the bacteria that can develop into periodontal disease. Practicing good habits of oral hygiene, like brushing and flossing, will quickly diminish the risks of developing periodontal disease, also known as gum disease. t hesitate to call us to schedule an appointment right away. s probably a good idea to kick the habit anyway. Central Florida Periodontics can get you in to see a periodontics specialist to examine your situation and give you expert advice. Contact us for an evaluation today that can get you on the right track toward a healthier mouth.